Owner Sir Robert Ogden - missing his first Festival for 20 years - landed the second leg of a rare novice chase double when Star de Mohaison captured the Royal & SunAlliance Chase 24 hours after Voy Por Ustedes won the Irish Independent Arkle Chase. Ogden is cruising off the South American coast on his 50-metre yacht, La Masquerade, and the owner’s racing manager Barry Simpson reported: “Sir Robert has been at every Festival for the last 20 years but sadly he’s not here this time. This is only his third Festival winner - we’ve had two in two days, they are like a 57 bus - you wait for along time for one and then they all come along. “I did not get through to him until last night because there have been dreadful storms where he is off the coast of Chile. This should help him get over his seasickness. “It was a fantastic performance and he’s another five-year-old. He jumped superbly all the way round, did everything off the bridle and flew over the last three. Trainer Tom George was understandably delighted with the performance of 33/1 shot Idle Talk, who was beaten six lengths into second place. The Slad handler commented: “I am absolutely delighted with that performance. He would have finished a bit closer but got a bit outpaced and lost five lengths going down the hill. “I’m not sure where we’ll go from here, we’ve always looked after him and will continue to do so. Charles Egerton, trainer of third-placed Darkness, was pleased if slightly fristrated by the gelding’s effort. He said: “The jockey (Paddy Brennan) has given him a brilliant ride and he’s run a blinder. “It was slightly frusstrating to see him finish third when you look at the position where he has come from. “He has shown his talent and I think the only problem he has is in his head! “He hasn’t travelled well and lost his position in the middle of the race which didn’t help at all. There are a record 91 entries in the Royal & SunAlliance Chase, staged on Wednesday, March 15. The 91 Royal & SunAlliance Chase entries include current ante-post favourite Darkness, successful in four of his five starts over fences including the Grade 1 Stan James Feltham Novices’ Chase at Sandown on Boxing Day, and the only horse to have beaten him, Monet’s Garden, is another entry. Robert Alner looks to have another potential star in The Listener, a winner of his three starts over fences, most recently in the Grade 2 Unicoin Homes Dipper Novices’ Chase at Cheltenham on New Year’s Day. The Nicky Henderson-trained Crozan landed the Jim Brown Memorial Novices’ Chase at Cheltenham in November while Basilea Star - one of eight Martin Pipe-trained entries - made an impressive successful debut for his new handler at Warwick on December 31. The record 28 Irish-trained Royal & SunAlliance Chase entries include Ted Walsh’s Southern Vic, a Grade 1 winner at Leopardstown over Christmas, Church Island, an impressive winner at Cheltenham’s Open Meeting in November, the 2003 Anglo Irish Bank Supreme Novices’ Hurdle victor Back In Front, a victor on his chasing debut at Limerick last month and the Willie Mullins-trained Our Ben. The Royal & SunAlliance Chase brings together the best of the three-mile novice chasers and this year’s renewal has attracted a record 91-strong entry, three more than in 1999 when the following year’s totesport Cheltenham Gold Cup winner Looks Like Trouble announced his arrival at the top-level with victory in the Grade One contest. Irish trainers are responsible for 28 of those engaged, while France has one possible contender. The Charles Egerton-trained Darkness, the current market leader, has won his last three starts, culminating in the Grade One Feltham Novices’ Chase at Sandown on Boxing Day. He stayed on strongly there to defeat Zabenz, Bewleys Berry and Crozan. The last-named could attempt to give Nicky Henderson his second win in the race after Trabolgan proved victorious last season. Darkness could be joined by lightly-raced stablemate Gallant Approach. The seven-year-old has only raced three times under Rules and won his sole chase start in solid fashion over three miles at Newbury in December. Henrietta Knight won this race in 2000 with Lord Noelie, and her exciting six-year-old Racing Demon, unbeaten in two starts over fences, holds an entry. The Listener is one of two entries for trainer Robert Alner. The seven-year-old grey, unbeaten in three starts over fences landed the Grade Two Unicoin Homes Dipper Novices’ Chase at Cheltenham earlier this month. Alner could also saddle French import Mort De Rire, a winner at Leicester last time. Martin Pipe is the only trainer to have landed the race two years in succession, courtesy of Rolling Ball (1992) and subsequent Grand National winner Miinnehoma (1993). He has eight entries, as does Jonjo O’Neill. Pipe’s Bannow Strand has won two from three chase starts and defeated the Philip Hobbs-trained Supreme Serenade over two and a half miles at Haydock earlier this month. High-class hurdler Classified has been off the course for almost three years and is yet to jump a fence in public. The latter comment also applies to Commercial Flyer and Standin Obligation, while Korelo has been campaigned exclusively over hurdles since his last chase start in March 2004. The Pipe entry is completed by the useful Lough Derg, Celtic Son and Don’t Be Shy. O’Neill could field Bold Bishop, winner of a pair of handicap chases on his last two starts, including the Beards Jewellers Cup over two miles at The Open at Cheltenham in November, Garde Champetre, Monte Vista, Neptune d’Anzy, Spirit Of New York, Steppes Of Gold, Tigers Lair and Very Optimistic. Paul Nicholls has entered 2002 Smurfit champion Hurdle winner Hors La Loi III, who scored easily on his chase debut at Taunton in December and was not disgraced subsequently when tapped for toe in third behind Irish Independent Arkle Trophy hope Justified. The Ditcheat handler could also saddle Napolitain, half a length second to The Listener at Cheltenham last time, and Star De Mohaison who was a further one and a quarter-length third in the same race. Arnaud Chaille-Chaille is responsible for the sole French entry, Mid Dancer. The five-year-old is the unbeaten winner of nine races over hurdles and fences in France, and comfortably collected a Grade Three Chase over two miles, four and a half furlongs on heavy going at Auteuil in November. Willie Mullins, successful twice with Florida Pearl (1998) and Rule Supreme (2004), is responsible for six of the 28-strong Irish entry. The Mullins sextet is headed by last season’s Weatherby’s Champion Bumper winner Missed That who improved on a dismal debut third to win his next two starts, including the Grade One Durkan New Homes Novice Chase at Leopardstown in December, where he had Paul Nolan’s Grade One Chase winner Kill Devil Hill back in third. Mullins could also run Our Ben, third to No Refuge in last season’s Royal & SunAlliance Novices’ Hurdle, and second to the well-regarded Nickname on his chase debut over two miles and three furlongs at Leopardstown last month. Mullins may also saddle Center Field, Homer Wells, Major Vernon and Mr Babbage. The Noel Meade-trained Father Matt was beaten by 11 lengths by Nickname - who has not been entered in this contest - in a Grade Two chase over two miles and five furlongs at Leopardstown last time. Edward O’Grady has entered the 2003 Anglo Irish Bank Supreme Novices’ Hurdle winner Back In Front. The former top hurdler scored a facile success on his chase debut at Limerick on Boxing Day. He could be joined by stablemates, On The Net, Some Legend and Coast To Coast. The latter proved no match for the Ted Walsh-trained Southern Vic when a distant fourth in the three mile Grade One Ascon/Rohcon Novice Chase last month. That race could prove to be a key contest as Walsh’s seven-year-old held Homer Wells by 15 lengths and also accounted for Tumbling Dice, Slim Pickings, Church Island, Mr Babbage and Tigerlion. The Mouse Morris-trained Baily Breeze took his second race on the bounce in fine style when landing a heavy ground Limerick Grade Two contest last month, where American Jennie unseated at the third. Cumbrian handler Nicky Richards has entered his well-regarded pair Monet’s Garden and Turpin Green. The first named, a high-class novice hurdler last term, hasn’t been sighted since handing Darkness a nine-length beating when the pair met on their chase debuts at Ayr in November. Turpin Green defeated the Sue Smith-trained Rebel Rhythm two and a half lengths on his first chasing effort but disappointed next time when only third at Kelso. 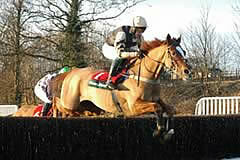 Smith has also entered 2005 Byrne Bros Cleeve Hurdle winner Patriarch Express. Howard Johnson has an interesting trio in mud-lover Bewleys Berry, Julius Caesar and the classy Flat stayer Kasthari who hosed up at Doncaster on his second novice chase start in December. Billyvoddan accounted for Kasthari when the pair made their fencing debuts at Huntingdon in November, but Henry Daly’s charge has been found wanting behind Darkness and The Listener respectively, in two subsequent outings. Daly has also entered Briery Fox, who defeated Yes Sir last time, and Alderburn. The Tom George-trained Idle Talk is unbeaten in two starts over fences. He saw off the Colin Tizzard-trained Lord Killeshanra in both of those contests. Ron Hodges won this race in 1997 with Hanakham and the Somerset trainer will bid for a repeat with dual winning pointer Preacher Boy. The seven-year-old has won two from two under rules, including his sole chase start at Wincanton at Christmas. 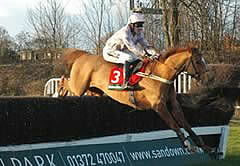 Other interesting entries include Wild Cane Ridge, 2005 Coral Cup hero Idole First, Bob Bob Bobbin, Unleash and Nadover.